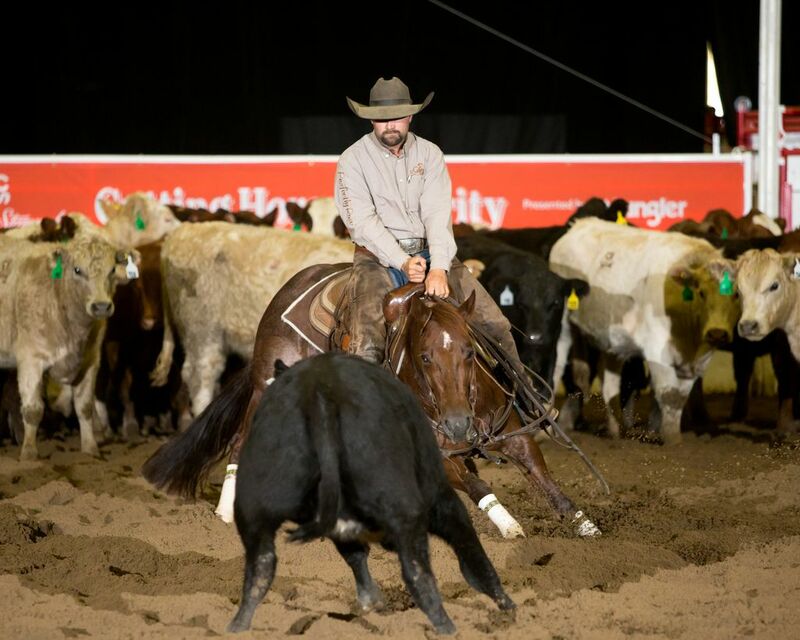 Calgary – The excitement of world-class cutting horse competition is taking over the Agrium Western Event Centre at Stampede Park this week, October 11-15, 2017. 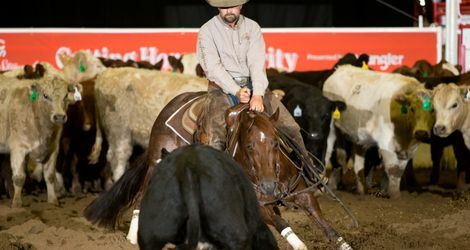 Experience the amazing athletic abilities of the top cutting horses in North America as they showcase their skills at the Calgary Stampede Cutting Horse Futurity, presented by Wrangler. For those unfamiliar with the sport, cutting sees a horse and rider faced with a herd of cattle and two and a half minutes on the clock. Working together they must select, or cut, a single cow from of the herd. It’s then left up to the horse to use its instincts, also known as cow sense, to keep the cow from returning to the herd. The highlight of this prestigious competition is the high-energy, family friendly Saturday night Cut of the West. The evening features the championship competition in the Open Derby Final as well as the Open Classic/Challenge Final. Guests to the event can also shop a western marketplace and bid for unique items in a silent auction. The public is encouraged to come and see what the popular, growing sport of cutting is all about. Admission is complimentary throughout the entire competition. Each team of horse and rider gets just two minutes and thirty seconds to make an impression on the judges during a run. More than 300 horses from across North America are competing, from as far away as Texas and California. Close to $400,000 in prize money is at stake. Guests who attend the Saturday night Cut of the West will have the opportunity to use ‘Smart Bug’ personal listening devices for expert commentary and insight on each run. 8 a.m. - 9:30 p.m.